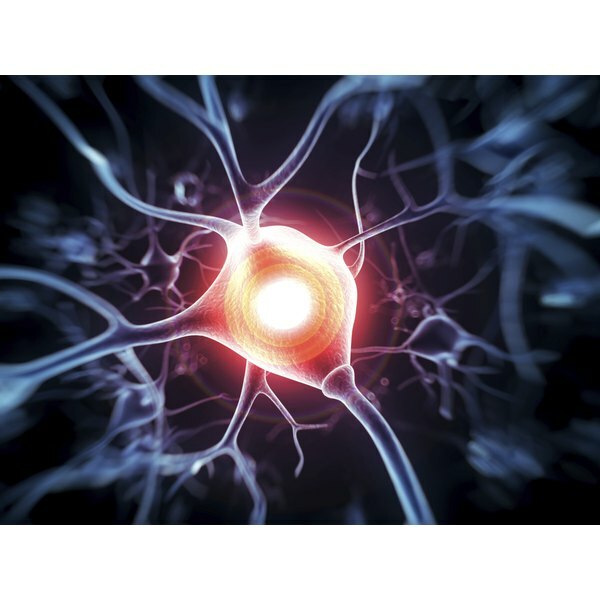 In peripheral neuropathy, a person's nervous system fails to transmit information from the brain and spinal cord to parts of the body. Peripheral neuropathies show up in different levels of seriousness, and symptoms may persist for days, weeks or years. Conventional medical treatments aren't always effective at treating the condition, so people sometimes turn to herbal supplements influenced by Chinese or Ayurvedic medicine for help. You must determine first if an underlying condition is causing your neuropathy, so consult with your doctor if you experience symptoms. Also talk to your doctor about using herbal supplements because some may interact with other medications or conditions you have. Symptoms of neuropathy range from numbness and tingling to muscle weakness. In some cases, people have an abnormally intense sense of touch or experience burning pain and paralysis. Certain chemotherapy drugs and diabetes can cause neuropathy, as can the autoimmune condition called Guillain-Barré. Doctors use conventional therapies to treat neuropathy, specifically immune-suppressive drugs, such as prednisone, cyclosporine or azathioprine, or tricyclic antidepressants. These medications act directly on the central nervous system but aren't always effective in treating neuropathy. For example, a review of herbal treatments for cancer-induced neuropathy published in a 2013 issue of Evidence-Based Complementary and Alternative Medicine reported that no conventional pharmacological substance has effectively been established as treatment. Evening primrose oil has been shown in studies to potentially reduce symptoms of diabetic neuropathy, reported the Journal of the American Board of Family Medicine in a 2003 review. This supplement is a rich source of gamma-linolenic acid, or GLA, which is the fatty acid researchers believe is responsible for the nerve stimulation. GLA serves as an important building block in the neuronal membranes. Treatment for six to 12 months and large doses are required for potential benefit, however. Although evening primrose oil shows promise as a treatment, more studies are needed. Capsaicin is the compound that gives chili peppers their zing. Your doctor may suggest you treat peripheral neuropathic pain with topical creams containing capsaicin, which can sometimes help halt the discomfort. The topical application does not stimulate nerve endings but helps to dull the tingling or burning sensations in some people. The University of Maryland Medical Center does report that treatment with capsaicin has mixed results. Singular herbs used to treat neuropathy have limited research associated with them, but they show some potential promise. Most are anti-inflammatory and assist in reducing pain, not rebuilding nerve endings or stimulating nerves. These include Acorus calamus rhizoma, which is anti-inflammatory and protective of the nerves; Cannabis sativa, which has possible effects on central and neuropathic pain; Matricaria chamomilla, a pain killer more effective than morphine when it comes to peripheral neuropathy; salvia species, which has been shown in animal studies to reduce pain; and Ginkgo biloba, which is neuroprotective and attenuates the intensity of discomfort. Asian medicine practitioners often use herbs to combat peripheral neuropathy. Research is scant, but some may be effective, reported the review in the 2013 issue of Evidence-Based Complementary and Alternative Medicine. Bu Yang Huan Wu, one of such collections, showed a reduction in cancer-induced peripheral neuropathy in a small Chinese study. A modified recipe of the classic Chinese herbal blend known as Chai Hu Long Gu Mu Li Wan also may reduce cancer-induced neuropathy significantly. The herbal combination called Goshajinkigan, used in Japanese Kampo medicine, is used to treat diabetic neuropathy with some success. Herbal treatment for neuropathy may be useful in cases when western medicine cannot offer relief, but research is unclear. Studying herbal therapies becomes complicated because herbs contain a variety of compounds that aren't clearly understood. It's difficult to isolate a specific extract that may make an herb effective in treatment. Evidence-Based Complementary and Alternative Medicine: Can Medical Herbs Stimulate Regeneration or Neuroprotection and Treat Neuropathic Pain in Chemotherapy-Induced Peripheral Neuropathy?